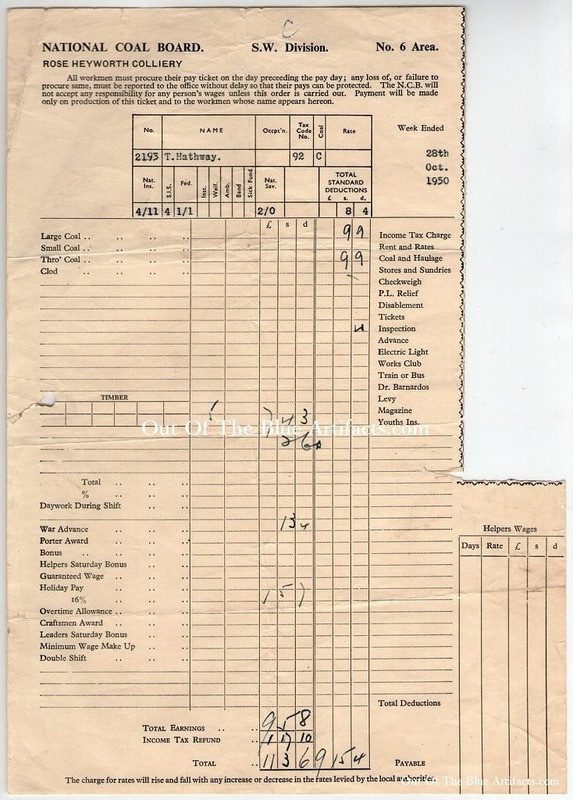 Roseheyworth Colliery Abertillery – Wages Docket. 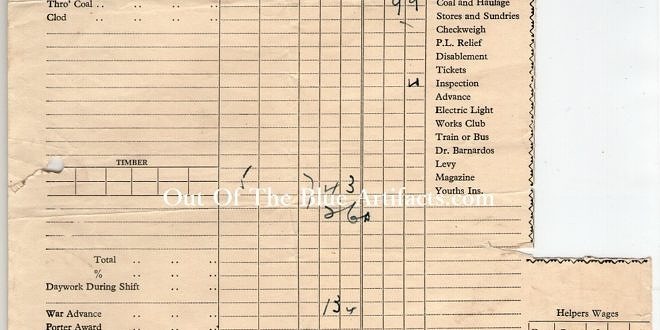 Roseheyworth Colliery, Abertillery, Wages Docket. Thank you for visiting my website and spending time looking at the articles. I am proud to own all of the items displayed on this website and all the photography has been done by myself. All images are copyrighted to myself but I am happy for them to be used for educational purposes. Please contact me prior to using them to gain my permission.